Coming a few short months after the success of Svengali, 1931's The Mad Genius reteams John Barrymore and Marian Marsh in another showbiz love triangle (of a kind). Barrymore plays Ivan Tsarakov, a penniless puppeteer whose fortunes change dramatically when he saves an innately talented farmboy from his abusive father. Tsarakov becomes a theatrical impresario and is able to mold the boy, Fedor Ivanoff (played by The Public Enemy's Donald Cook as an adult), into a fine Russian ballet dancer -- with the potential to become the finest. It would seem that the puppetmaster has found himself the ultimate dancing puppet... until love intervenes. Fedor falls hard for the sweet, untouched blonde angel Nana Carlova (Marsh), who is not at all like the normal floozies that Tsarakov allows Fedor to, well, "partner up" with. Tsarakov views lovey-dovey feelings as the enemy of artistic genius so he immediately sets to demolishing the kids' fledgling relationship. And... that's pretty much it. Then we just have to see whether love or Tsarakrov will win. Both opponents put up a solid fight. Fedor leaves Tsarakov's company to be with Nana. Tsarakov gets Fedor blacklisted. Fedor yearns to dance as he has been molded to do. Nana must decide whether she is a greater benefit to Fedor by his side or leaving him alone to create his art. Apart from the particulars of the genuinely shocking (and distinctly pre-Code) climax, we know the whole time which side is going to end up victorious. 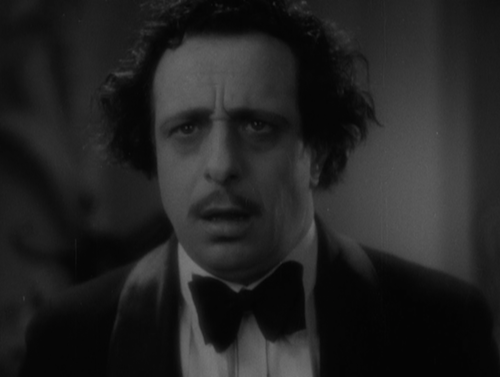 As such, the quality of the film rests solely on the quality of John Barrymore's lead performance. Barrymore is hammy then harrowing then back again, but he is certainly never boring. Unfortunately, the same cannot be said for his younger costars, whose bland love story plays out like the filler plot scenes in a Marx Brothers movie. The supporting cast has some highlights, though, with Luis Alberni as an oft-crazed, drug-addled choreographer that the puppetmaster keeps in check with his own personal stash and Charles Butterworth as Tsarakov's hilariously simple secretary. Director Michael Curtiz does a better-than-average job staging the performances and keeping things chugging along, but even he can't keep this thinly plotted 80-minute film from feeling padded. The Mad Genius arrives as part of the Warner Archive Collection, on a manufactured-on-demand (MOD) DVD-R. The standard 1.33:1 image is fair on this release. The image is stable overall, with only one instance where I noticed the film jump a sprocket. The film elements otherwise show varying levels of wear-and-tear throughout. None of it is completely clean, but there are many stretches where the level of dirt and scratches is relatively minimal. Contrast and detail are good overall, but they tend to fluctuate somewhat throughout the film as well. There's a little crushing in the blacks here and there, but otherwise there aren't many noticeable digital compression hiccups to complain about. Altogether, it's a teeny tiny touch better than average for an MOD release that has not been remastered. Dialogue is always clear and understandable in this Dolby 2.0 mono presentation. There is a touch of hiss throughout and sporadic damage, but otherwise the soundtrack is in good shape. Recorded using Warner's Vitaphone technology, the audio is naturally limited and boxy compared to later films from studio, but it gets the job done just fine. No subtitles. Just the trailer, which is super-saturated with superlatives. "You Will Remember Forever" touts the theatrical trailer for The Mad Genius. Eh... probably not. 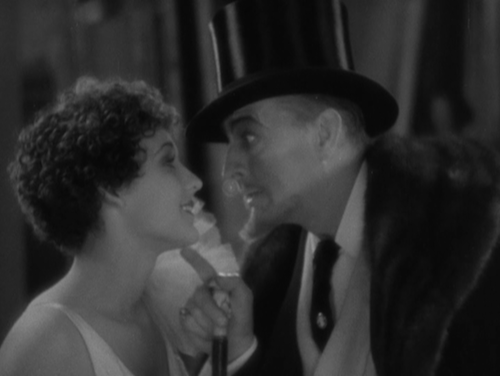 Still, John Barrymore gives an electrifying performance sure to satisfy his fans. On that basis, this flick comes Recommended.